Best Brain Supplements - Top 10 Nootropics of 2019 Ranked! 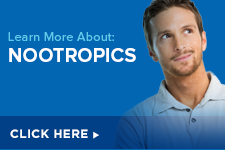 Boost Your Cognition with Nootropic Supplements! When we think of working out, we most likely think about hitting the gym and getting big muscles. Our brains need a workout too. There is so much going on in our brains, and with everyday stresses, we probably aren’t doing what we need to do in order to keep the brain active and healthy. Nootropics are fairly new to the supplement world, but that does not mean that they are ineffective. Many of the ingredients found in many of the products have been believed for centuries to be beneficial to the memory, focus, and efficiency of the human mind. Below is a our top-ten bestselling brain enhancing supplements that are safe and easy to use and are backed with a 60 day money back guarantee. 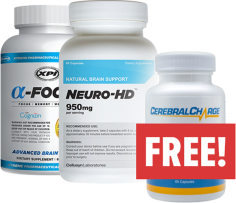 Give your brain the boost that it needs to stay healthy and pick the right product for you.